Graphic layout and icon design for Driving UK Tourism, a major new hospitality report commissioned by Amaris Hospitality and Jury's Inn, produced by ReputationInc. Driving UK Tourism is a major new hospitality report including qualitative research amongst the hospitality industry’s top executives representing a cross-section of tourism and hospitality organisations across the UK. The report was commissioned by Amaris Hospitality with Jury's Inn and produced by leading reputation management consultancy ReputationInc. 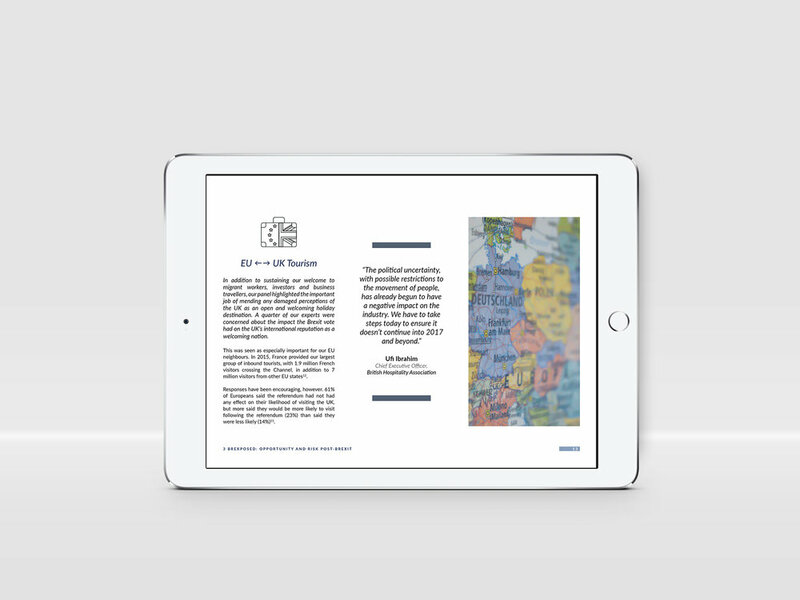 We worked on the layout for the 53-page digital report as well as designing custom icons for specific chapters. Need a graphic designer for your next report or publication?